Dolby CaptiView is a personal in-theatre closed captioning system for hearing-impaired movie audiences that transmits and receives closed captions on a wireless frequency. 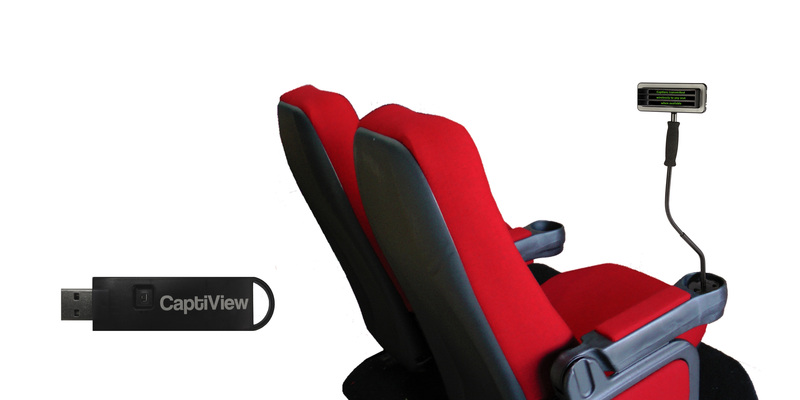 The Dolby CaptiView viewing device consists of a small, OLED display on a bendable support arm that fits into a theatre seat cup holder. The easy-to-read screen is equipped with a rechargeable lithium-ion battery that lasts up to 16 hours per charge. 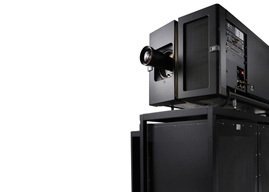 The high-contrast display comes with a privacy visor so it can be positioned directly in front of the movie patron with minimal impact or distraction to neighboring patrons. As an extension to this, Dolby AccessLink is a distribution system designed to interface Dolby Fidelio and/or Dolby CaptiView products with non-Dolby servers and legacy Dolby DSP/DSS servers through the use of SMPTE ST 430-10 and ST 430-11 protocols. 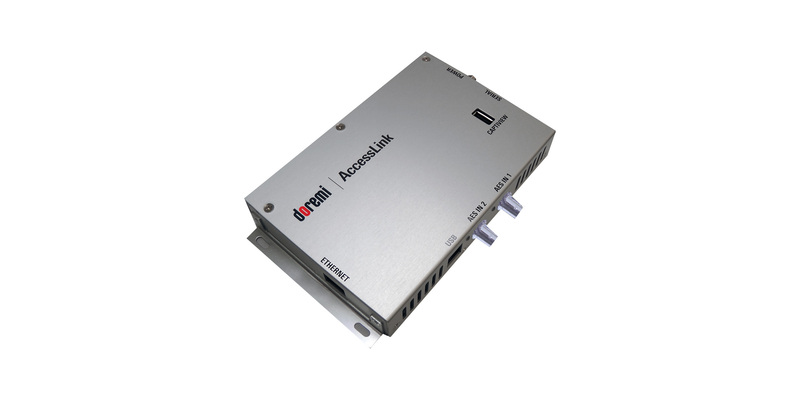 The Dolby AccessLink product provides two stereo channels from a single transmitter to multiple receivers and also hosts a Dolby CaptiView transmitter to provide closed captions.